impact your vision. They will help you narrow down your choices so you can find the look, fit and functionality you want from your eyewear. New patients and all our current patients are welcome to visit us with their current prescription – no appointment is necessary during our posted office hours. 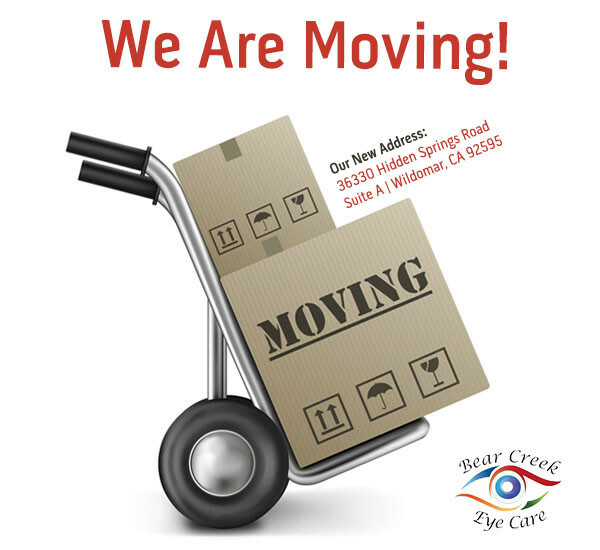 Our office in Wildomar proudly serves patients from Murrieta, Wildomar, Temecula, Lake Elsinore, Menifee and Canyon Lakes, as well as other nearby communities. We provide all major manufactures of contact lenses, competitive with internet pricing! Lenses can be mailed directly to you. We offer a wide range of contact lenses to fit your needs including contact lens exams and fittings. We price our contact lenses to be competitive with internet pricing! We provide Transitions lenses (lenses that change in various lighting conditions), progressive lenses (lenses that focus at distance vision, then gently progress to focus at arm’s reach, then continue to focus at reading distance), and the best coatings in the world that reduce glare, reflections and the harmful wavelengths produced by digital devices. Smaller. Smarter. Simpler. Our cutting edge retinal imaging technology is customized to fit the needs of your practice.